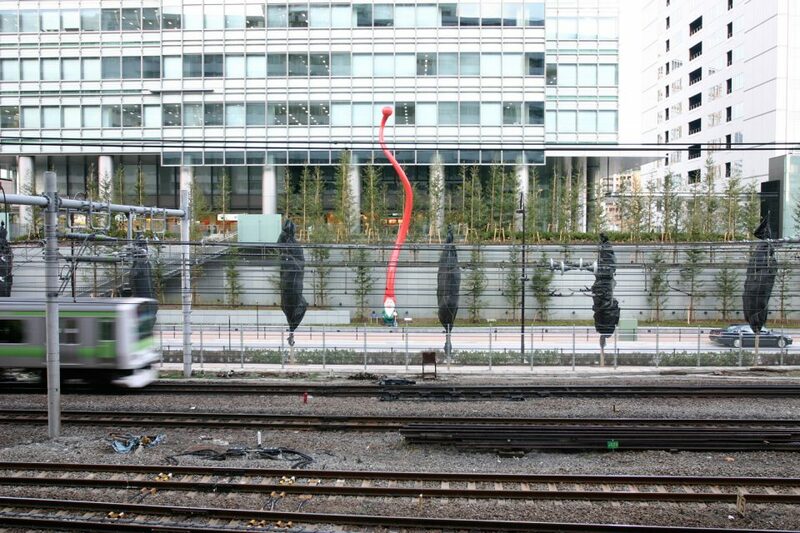 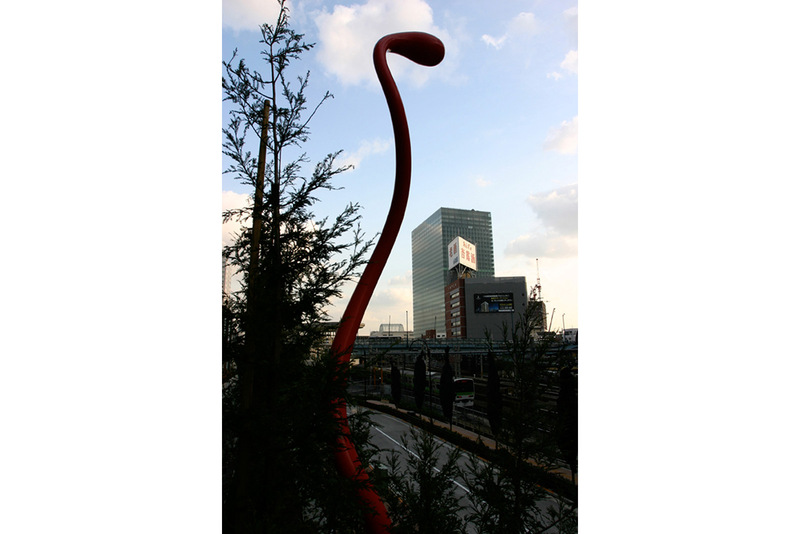 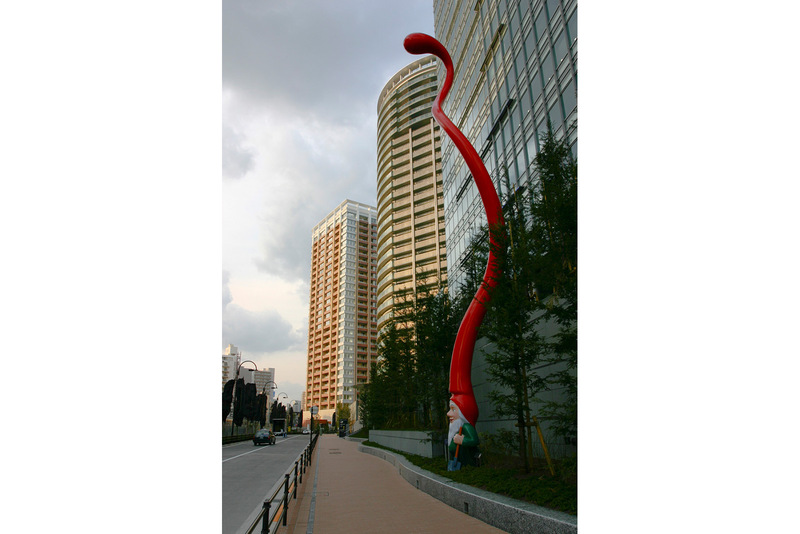 A 16-meter-high lacquered aluminum sculpture was developed in 2006 for the centrally located and busy site on Yamanote Line in Tokyo. 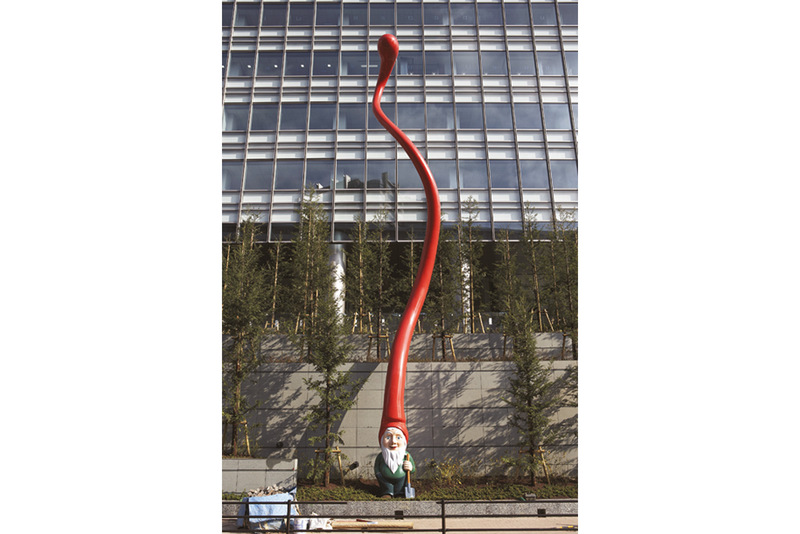 A huge garden dwarf was placed in the front garden of the office building; its cap seems to grow upward into the heavens. From the rail line, the hood appears like an abstract, curving sculpture reminiscent of a budding flower. Contradictory aspects – like placing a German garden dwarf in Tokyo, shifted proportions, and conceptual overlapping – unite in an unaccustomed hybrid in the work.